Welcome back to Monday Motivation! 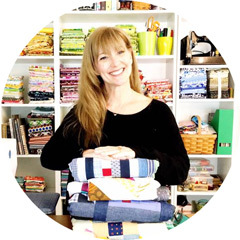 Four years ago Sara organized a New York Beauty Sew Along and it was pretty amazing. Using free New York Beauty patterns and a hop to different blogs to learn about the different ways to paper piece these stunning blocks. Jump ahead four years and I still have orphan blocks that need some love and a stash that I need to sew through... Meet Violet! The original free pattern is Myrtle the Purl Turtle from Purl Soho. It was another one of those, "I must make this someday" projects that hang out in Pinterest Purgatory just waiting to be hopefully made someday. This pattern is a free pdf with excellent support tutorial with beautiful photos on the Purl Soho website. It takes only a few choirs from cut to stuff if you are using fabrics and not a NYB block. If you make the NYB, it can add a few more hours. The NYB is Joel Dewberry fabric, the dark purple is flannel from my stash and the sweet polka dot belly is Tula Pink :o) I constructed the block and Violet with Aurifil 50wt thread. I used a light neutral and wish I would have gone with either the 2600 ( Dove) or a full purple. Next time I will know better and match my thread to my fabric. What a wonderful use for an orphan block. She's a real beauty! This is SO cute! I love the colors. I might have to make one for my own littles. Thanks for sharing! I love this idea! What a great use for orphan blocks. Thanks for sharing. Adorable! You did a really lovely job on this - and softies ain't easy! Such a cute use of an orphan block. I need to keep this in mind. Soooo cute! Great way to use an orphan block.